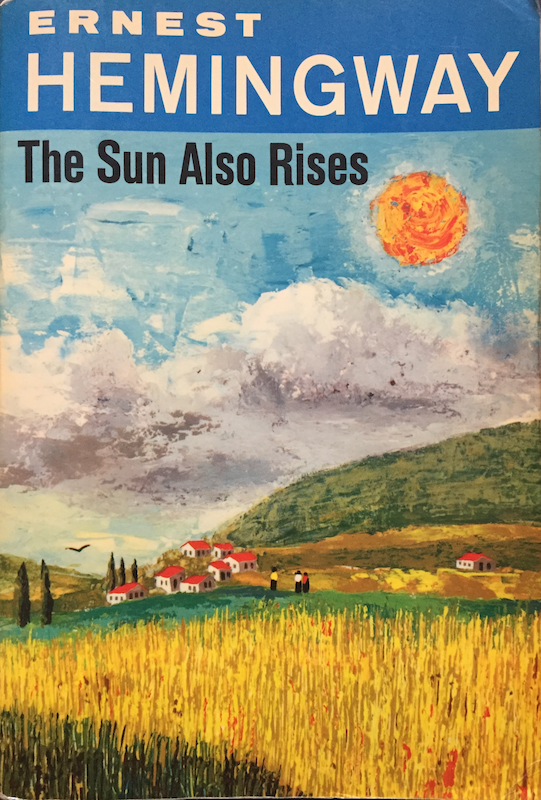 The cover of my copy1 of The Sun Also Rises captured by my cell phone as a PNG and converted into a novel and audio book. Check out a sample chapter. I purchased a second hand copy of the Scribner version printed in 1970 from a used bookstore in Boone, NC. The cover image is a painting by James and Ruth McCrea and the image used for this project looks like this.